Wexford is one of Hilton Head’s premier residential communities. It encompasses approximately 500 acres of land, marshes and water blended into a community attuned to the beauty of the land. Wexford is a fully developed golf, yachting and tennis community with all amenities in place. It includes an 18-hole golf course, a clubhouse, a 37.5 acre locked harbour, a lawn and racquet club, a community pool and miles of bike trails. 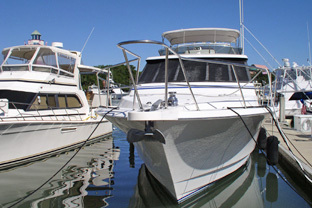 The locked harbor provides unique protection for yachts of all sizes. No public resort activities are allowed within Wexford, just a distinctive private lifestyle.